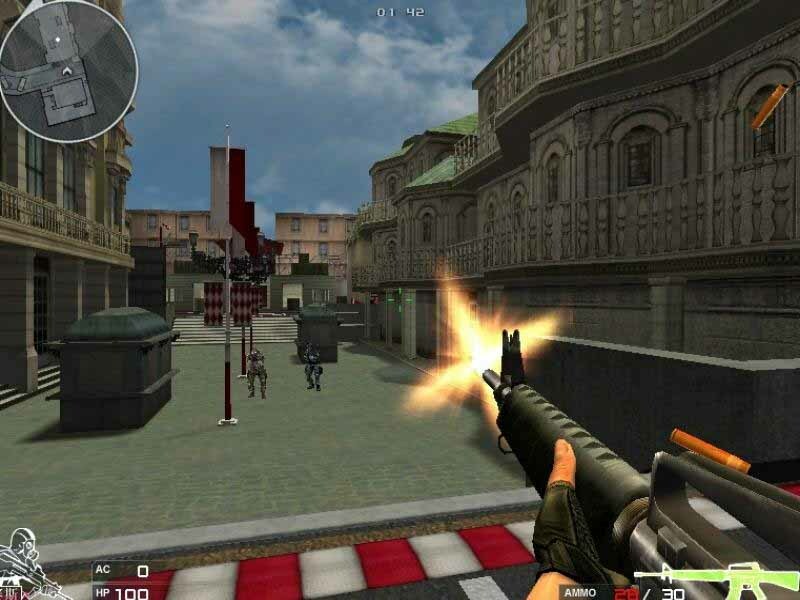 Free download CrossFire 1122 game for PC. It is a shooting and arcade game. It is developed by Smilegate and published by G4BOX. CrossFire 1122 is fighting game between two corporations ‘Black List’ and ‘Global Risk’. They are fighting each other in whole game with different scenarios. You have to play the role of either a Black List or Global Risk. It is online game too and you have to join the online team and must work together. Rather than online game it is also has other game modes which are more than ten. There are different modes like; Search and destroy mode, Elimination Match, Ghost mode, Team death match, Free for all, Escape mode, Mutation mode, Hero mode, advance Hero mode, Zombie mode and more. Each mode has 16 players and divided into 8 men team. The player will earn experience points and various military ranks on the basis of their performance. The first and lower rank will be trainee and the highest one is Marshall. You can get the new and heavy weapons and can be purchased online from website. After completing each mission you’ll get bonus game points. You’ll be given a task and you have to fulfill it. The characters of player are unique from each other and they are divided into groups which are almost real in our life like; Russian OMOH, SWAT, British SAS and UN Special forces etc. Their weapons are also real like machine guns, submachine guns, shotguns, AK-47, AK-74, Anaconda, combat knife, shovels, Grenades and many more. The 3D graphics, visual effects and sound effects are amazing and delight to watch.